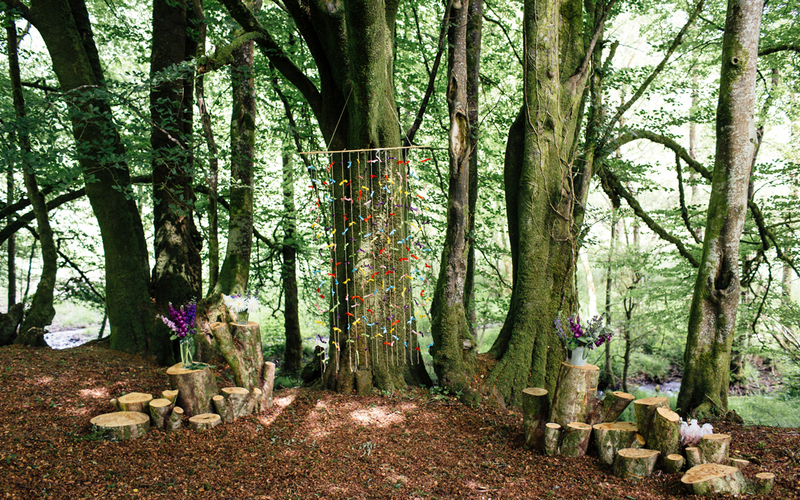 The farm environment is magical, being completely ‘off the beaten track’. Unspoilt by modern farming, the meadows are wild and very natural, the streams are crystal clear, and with no near neighbours, you often hear no noise other than the stream and the buzzards calling. 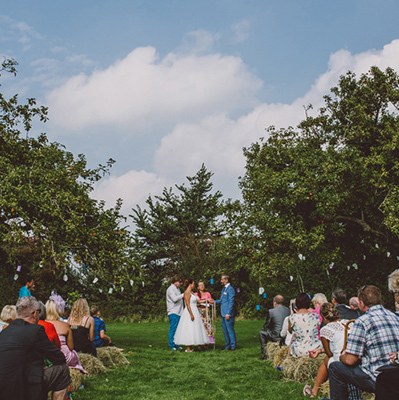 Wild and rustic, and completely sheltered by its own wooded valley, Streamcombe Farm is an ideal alternative wedding venue for relaxed, informal and natural outdoor celebrations. On the borders of Exmoor National Park, Somerset and Devon, Streamcombe is 30 minutes from the M5, J27. 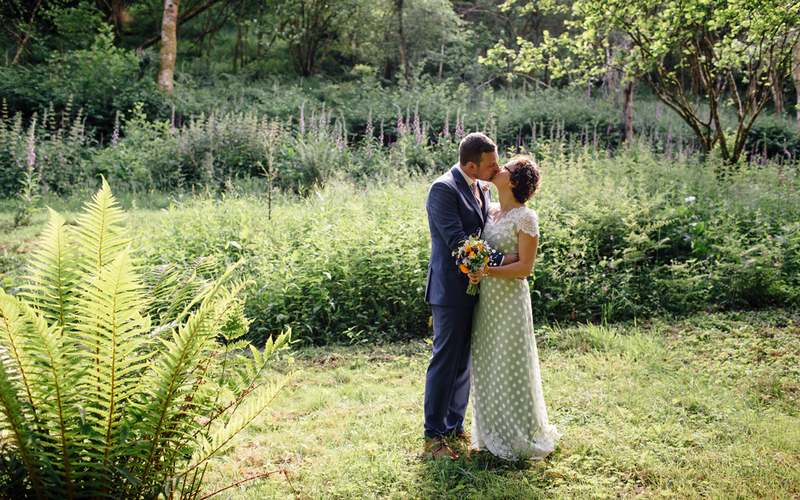 Within 40 minutes drive of Taunton & Exeter, and an hour from Bristol. 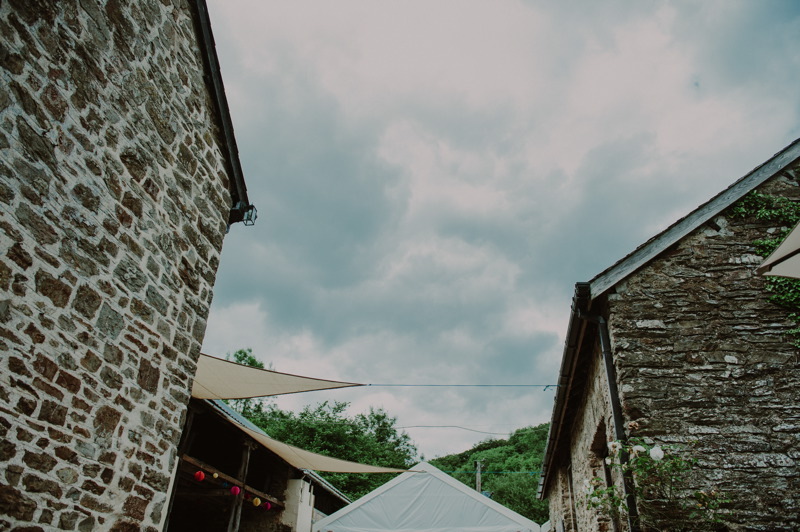 Their facilities include an old stone barn seating 52 with wood burner, tea & coffee making facilities and paying bar area. They also have toilets, electricity, lighting and covered areas for musicians, plus natural spring water on tap. 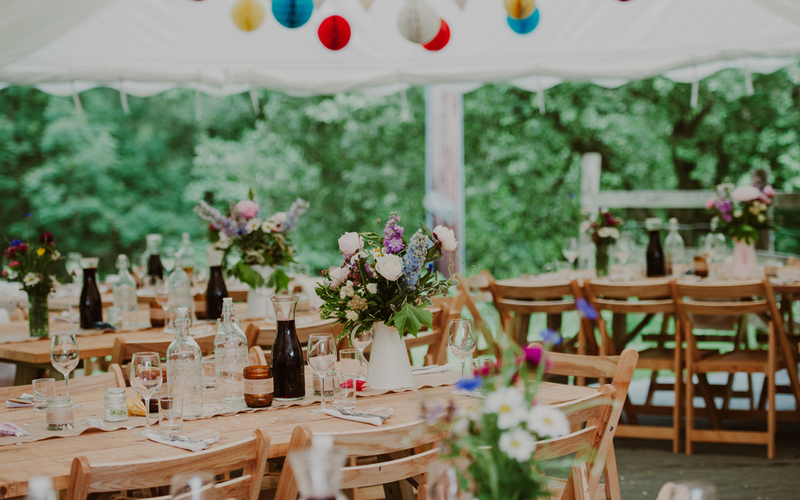 A large marquee is included with the venue hire complete with mats, bunting and lighting and is ready pitched on the farmyard, capable of seating up to 110 guests comfortably – N.B. 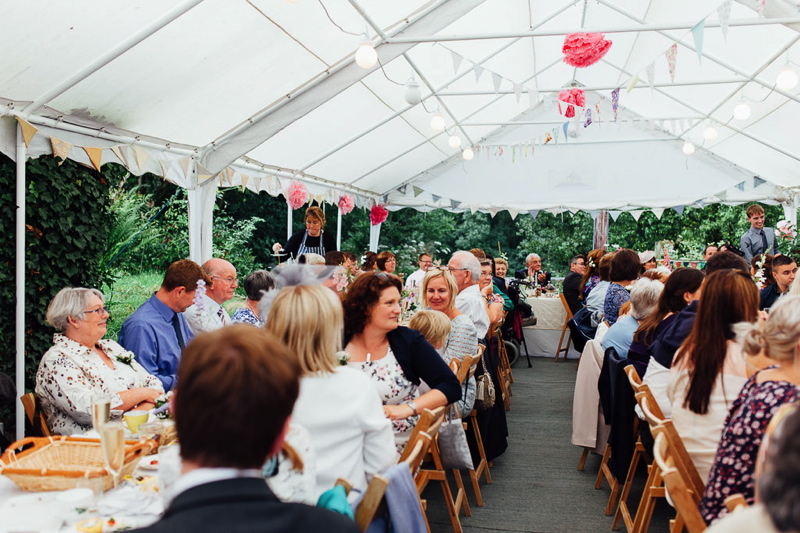 Long banquet-style trestle tables & chairs are included in the venue hire cost. A Wild camping meadow with compost loos and hot showers for up to 40 campers is available but tents are not included. Bed & Breakfast is available to book on site for up to 6 people. 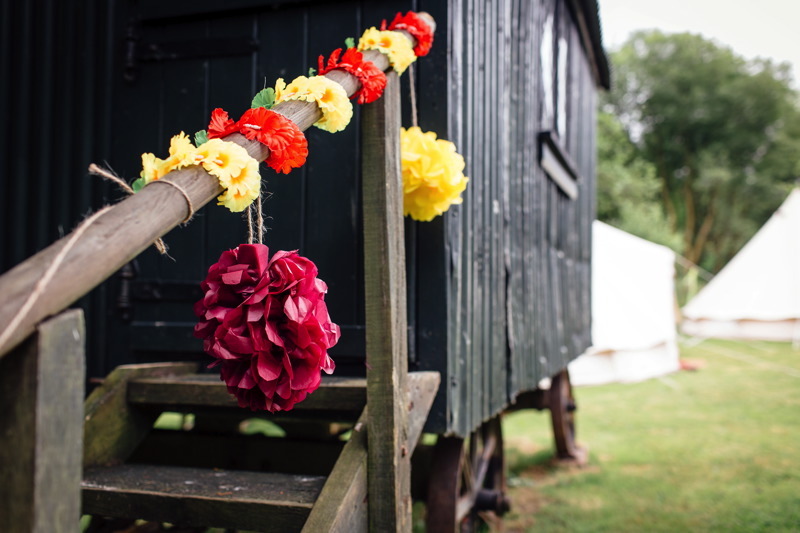 Shepherds hut glamping for 2 is available to book on site. Ready pitched & furnished bell tents available to hire locally. Pets are welcome as campers! The Resident Chef & Cookery School proprietor Ian Jarmarkier, provides an excellent on-site catering service. 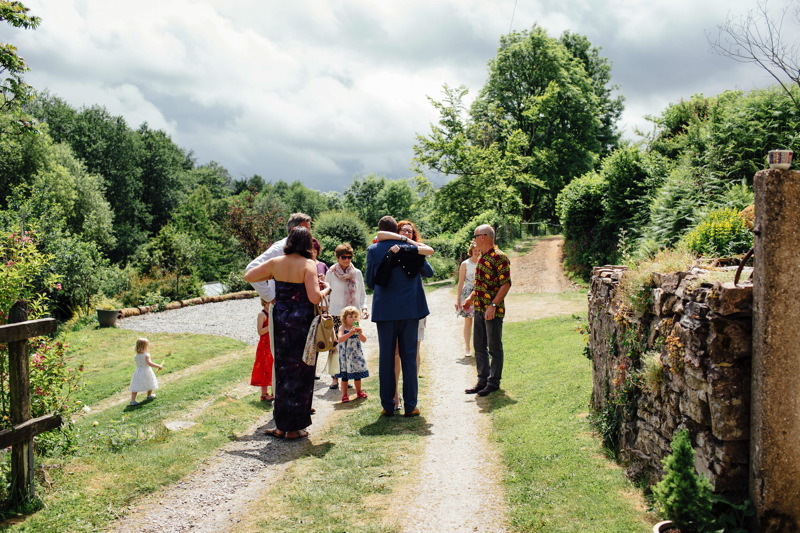 Streamcombe Farm have just one date left for Summer 2019! 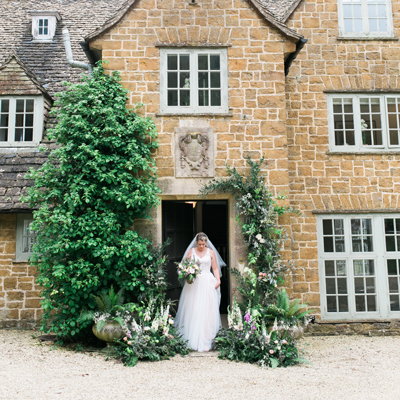 Is Saturday 17th August your wedding date? Get in touch with the team to discuss, but be quick!